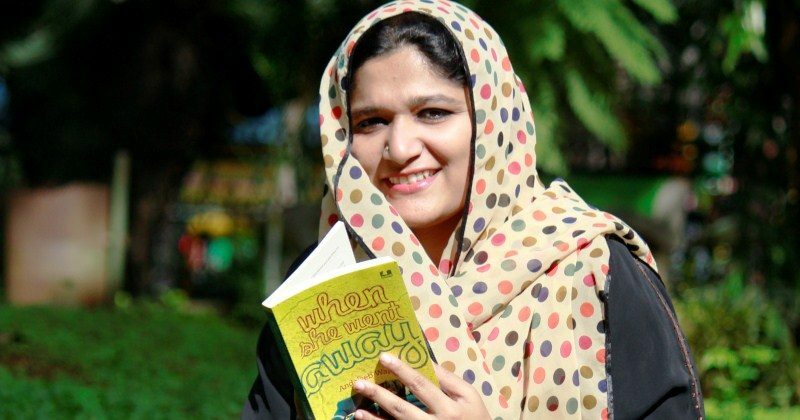 Andaleeb Wajid is a well known author from Bengaluru, who has captured the minds of young adult readers more than anyone else in recent times. With eighteen books and counting, she is extremely prolific. With an array of publishers which include Duckbill, Rupa, Speaking Tiger, Penguin Random House, and Juggernaut; she has explored genres ranging from romance to horror. In an exclusive interview with Bengaluru Review, Andaleeb shares her experiences with the fast-changing city, her writing process, how she manages to capture the young mind, among other things. When did it become clear that you wanted to be a writer? Was there any specific incident, feedback, or a break-through moment of sorts? I must have been around 8 or 9 years old. I was sitting at a desk in my father’s office and I was thrilled to see he had one of those revolving chairs. So I sat in it and spun myself around until I became dizzy. The spinning stopped but it was also around the same time I realised I had fallen in love with the desk. I could see myself sitting at the desk writing away. So before I fell in love with writing, I fell in love with a desk. Even today, I can’t do any writing if I don’t have a desk. The city of Bengaluru is well weaved in your writings. Does the city play a special role in your upbringing, experiences, and imagination? What are its influences? It’s quite simple actually. I have never lived anywhere else than in Bangalore, and so I feel like I have to make the best use of this limited experience in my stories for the sake of authenticity. I don’t think about it specifically when I’m writing. I love the Bangalore of the 80s when I was a child, the quiet parks, the pensioner’s paradise it used to be, the gulmohur trees in my school and sometimes I try to hold on to that nostalgia when I’m writing, but not on a conscious level. Eighteen books and counting! What makes you so prolific? How do you manage to keep each of your book grounded and real? To be honest, I don’t stop and think. I just keep plodding on. That’s the secret to being prolific. Keep looking ahead and keep on working on the next book. Regarding the second question, I like to think that I’m very grounded and real myself and that reflects in my books as well. I’ve read in one of your interviews that you hate weekends and vacations. Can you elaborate? Ha ha! That’s because I love the routine of schools and colleges when my children are away from home and I have structured time to write. This goes haywire during weekends and vacations and my writing time gets affected. I wish I could say my writing time is sacrosanct but no one else apart from me believes that to be true. In 2016, you went on a year-long hiatus from writing. How was it like? How did you control the urge of writing? That was in 2014. It was awful but I wanted to stay away from writing for a bit because I thought I had already written quite a bit. By the end of 2013, I had written 10 books of which only 3 had been published. The writing break was so that the publishing could catch up with my writing. But I couldn’t wait to begin writing in 2015 and now I’ve decided never to put myself through something as annoying as a hiatus again. How does one capture the minds of young adult readers? Do you believe in keeping up with the fast changing young generation, or are some experiences timeless? I’d like to think they are timeless. I think when you boil it down to the basics, the issues are the same although there are newer labels and a keener understanding and more sensitivity. You are a writer and a foodie. This aspect of your personality comes across in your writings too. How do the two interests come together? Is there a secret mantra? I’m not so much of a foodie and I don’t enjoy cooking at all. But I do like to write about food because I think I enjoy reading about food too. It was just as simple as that. Also, all this started when I wrote More than Just Biryani. The idea behind that book was to showcase home cooked food in Muslim homes, apart from biryani and I think I discovered that I really liked writing about food, so I brought it about in a couple of my other books as well, such as The Crunch Factor and A Sweet Deal (publishing in 2019 with Fingerprint). What are the most memorable reviews or feedback you have received on your writings? What are the essentials to a good review, in your opinion? It’s odd how we remember the bad reviews and the good ones slip through our mind. I think it’s because so many of us writers suffer from impostor syndrome that we feel that when someone writes a bad review, they’ve seen through us and maybe they’re actually right. So, the bad ones, one for my second book in a national newspaper said my book was cliched and boring and that disheartened me so much. Regarding my newer books especially romances like The Crunch Factor and Twenty Nine Going on Thirty, I have seen an odd occurrence – there are two extremes. People either love them or hate them. One lady went so far as to say she will never read a book by me again, and I was amused and stunned at the same time. Regarding the second part of your question, a good review entices the reader to buy and read the book. It obviously shouldn’t tell the entire story. The review is not a summary of events. For me, I think of a review as something that I would want to recommend a friend to read (or not) and I wouldn’t want to give away spoilers, obviously. I want my friend to discover those little things that make the book special (or not). And of course reviews are subjective. As a writer whose books are out there, being reviewed, it’s easy to forget that sometimes. 2018 was a year of 5 books, all received well by readers. Tell us about your upcoming projects. What ideas are you exploring these days. So, I have one book that’s definitely coming out this year – A Sweet Deal (Fingerprint). This book is a romance and I had a lot of fun writing it. I’ve written two other books as well, both of which are sort of sequels – one to My Brother’s Wedding, and one to Twenty Nine going on Thirty. I don’t know when these books will be coming out though. I also recently finished writing a fantasy novel but I haven’t sent it out to my editor yet. I need to revisit and revise it before doing that.